Google is the primary means through which customers seeking information on products and services, find and connect with small businesses in NZ. 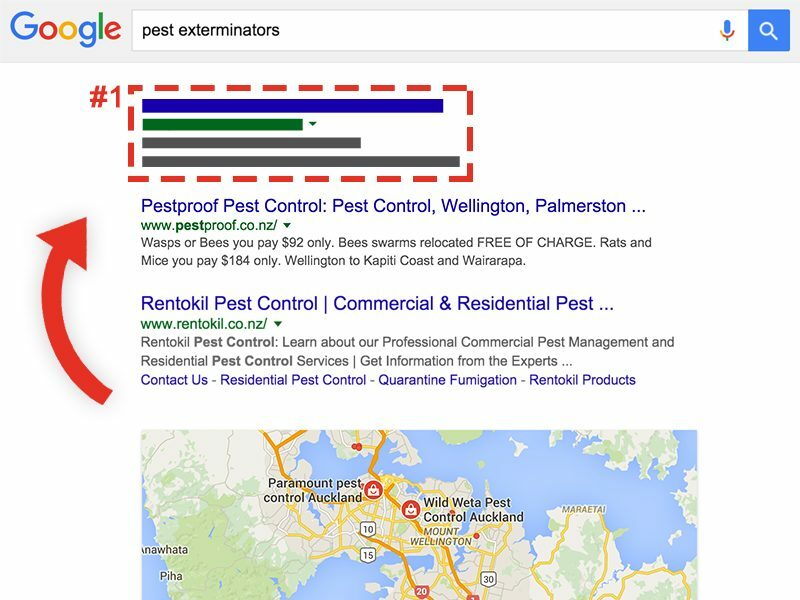 This highlights the importance of having a really effective SEO package so you can rank highly in Google and tap into NZ’s no.1 online source of leads and sales enquiries. We have a range of highly effective and affordable SEO packages designed to improve search engine rankings and organic traffic for small business websites. Our SEO service packages cover all key on-page and off-page elements that impact your search rankings, and includes optimising your Google business listings. Our package options include both one-off and ongoing SEO improvement programs. In most cases, we can deliver first-page results for your key search terms, and improvements in Google rankings will occur consistently over time. If your business targets localised areas and or if you have physical business locations, then you will required optimised Google My Business listings as part of your local SEO strategy. See more about our Google business listings service. If your website is not highly visible in Google for your most relevant keywords, then your phone probably isn’t ringing enough and you are missing out on opportunities.